This article is about the Hungarian politician. For other people with the same name, see Imre Nagy (disambiguation). The native form of this personal name is Nagy Imre. This article uses the Western name order. 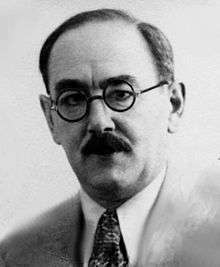 Imre Nagy (/ˈnɒdʒ/; Hungarian: [ˈimrɛ ˈnɒɟ]; 7 June 1896 – 16 June 1958) was a Hungarian communist politician who was appointed Chairman of the Council of Ministers of the Hungarian People's Republic on two occasions. Nagy's second term ended when his non-Soviet-backed government was brought down by Soviet invasion in the failed Hungarian Revolution of 1956, resulting in Nagy's execution on charges of treason two years later. Nagy was born in Kaposvár, to a peasant family and was apprenticed to a locksmith. His father, József Nagy (1869–1925) was a manorial servant, a county worker, and was later post assembly worker, and his mother, Rozália Szabó (1877–1969) served as a maid before she was married. He enlisted in the Austro-Hungarian Army during World War I and served on the Eastern Front. He was taken prisoner in 1915. He became a member of the Russian Communist Party and joined the Red Army. Nagy returned to Hungary in 1921. In 1930 he travelled to the Soviet Union and rejoined the Communist Party, also becoming a Soviet citizen. He was engaged in agricultural research, but also worked in the Hungarian section of the Comintern. He was expelled from the party in 1936 and later worked for the Soviet Statistical Service. Rumours that he was an agent of the Soviet secret service surfaced later, begun by Hungarian party leader Károly Grósz in 1989, allegedly in an attempt to discredit Nagy. There is evidence, however, that Nagy did serve as an informant for the NKVD during his time in Moscow and provided names to the secret police as a way to prove his loyalty (a common tactic for foreign communists in the Soviet Union at the time). 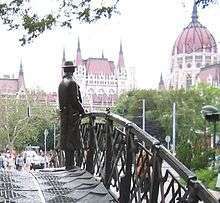 After the Second World War, Nagy returned to Hungary. He was the Minister of Agriculture in the government of Béla Miklós de Dálnok, delegated by the Hungarian Communist Party. He distributed land among the peasant population. In the next government, led by Tildy, he was the Minister of Interior. At this period he played an active role in the expulsion of the Hungarian Germans. In the communist government, he served as Minister of Agriculture and in other posts. 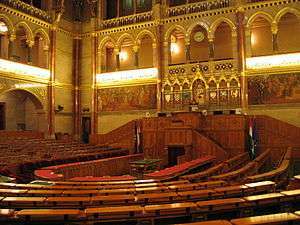 He was also Speaker of the National Assembly of Hungary 1947–1949. After two years as Chairman of the Council of Ministers of the People's Republic of Hungary (1953–1955), during which he promoted his "New Course" in Socialism, Nagy fell out of favour with the Soviet Politburo. He was deprived of his Hungarian Central Committee, Politburo and all other Party functions, and, on 18 April 1955, he was sacked as Chairman of the Council of Ministers. Nagy became Chairman of the Council of Ministers of the People's Republic of Hungary again, this time by popular demand, during the anti-Soviet revolution in 1956. Soon he moved toward a multiparty political system. On 1 November, he announced Hungary's withdrawal from the Warsaw Pact and appealed through the UN for the great powers, such as the United States and the United Kingdom, to recognise Hungary's status as a neutral state. Throughout this period, Nagy remained steadfastly committed to Marxism; but his conception of Marxism was as "a science that cannot remain static", and he railed against the "rigid dogmatism" of "the Stalinist monopoly". 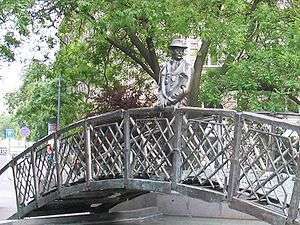 Statue of Imre Nagy, facing the Parliament. When the revolution was crushed by the Soviet invasion of Hungary, Nagy, with a few others, was given sanctuary in the Yugoslav Embassy. In spite of a written safe conduct of free passage by János Kádár, on 22 November, Nagy was arrested by the Soviet forces as he was leaving the Yugoslav Embassy, it is not actually known how, and taken to Snagov, Romania. Subsequently, the Soviets returned Nagy to Hungary, where he was secretly charged with organizing the overthrow of the Hungarian people's democratic state and with treason. Nagy was secretly tried, found guilty, sentenced to death and executed by hanging in June 1958. His trial and execution were made public only after the sentence had been carried out. According to Fedor Burlatsky, a Kremlin insider, Nikita Khrushchev had Nagy executed, "as a lesson to all other leaders in socialist countries". American journalist John Gunther described the events leading to Nagy's death as "an episode of unparalleled infamy". 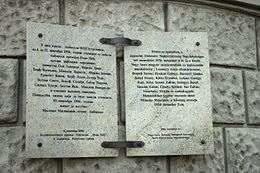 Nagy was buried, along with his co-defendants, in the prison yard where the executions were carried out and years later was moved to a distant corner (section 301) of the New Public Cemetery, Budapest, face-down, and with his hands and feet tied with barbed wire. Next to his grave stands a memorial bell inscribed in Latin, Hungarian, German and English. The Latin reads: "Vivos voco / Mortuos plango / Fulgura frango", which is translated as: "I call the living, I mourn the dead, I break the thunderbolts". During the time when the Stalinist leadership of Hungary would not permit his death to be commemorated, or permit access to his burial place, a cenotaph in his honour was erected in Père Lachaise Cemetery in Paris. In 1989, Imre Nagy was rehabilitated and his remains reburied on the 31st anniversary of his execution in the same plot after a funeral organised in part by opponents of the country's Stalinist regime. Over 100,000 people are estimated to have attended Nagy's reinterment. The occasion of Nagy's funeral was an important factor in the end of the Stalinist government in Hungary. The collected writings of Nagy, most of which he wrote after his dismissal as Chairman of the Council of Ministers in April 1955, were smuggled out of Hungary and published in the West under the title "Imre Nagy on Communism". Nagy was married to Mária Égető. The couple had one daughter, Erzsébet Nagy (1927–2008), a Hungarian writer and translator. Erzsébet Nagy married Ferenc Jánosi. Imre Nagy did not object to his daughter's romance and eventual marriage to a Protestant minister, attending their religious wedding ceremony in 1946 without Politburo permission. In 1982, Erzsébet Nagy married János Vészi. In 2003 and 2004, the Hungarian director Márta Mészáros produced a film based on Nagy's life after the revolution, entitled A temetetlen halott (English: The Unburied Body) (IMDb entry). Nagy is mentioned and seen in the movie Children of Glory. 1 2 Gati, Charles (2006). Failed Illusions: Moscow, Washington, Budapest and the 1956 Hungarian Revolt, p. 42. Stanford University Press. ISBN 0-8047-5606-6. ↑ Gunther, John (1961). Inside Europe Today. New York: Harper & Brothers. p. 337. LCCN 61009706. ↑ Kamm, Henry (8 February 1989). "Budapest Journal; The Lasting Pain of '56: Can the Past Be Reburied?". The New York Times. Retrieved 5 May 2010. ↑ Kamm, Henry (17 June 1989). "Hungarian Who Led '56 Revolt Is Buried as a Hero". The New York Times. Retrieved 5 May 2010. ↑ "Erzsebet Nagy, only child of Hungary's 1956 revolution prime minister Imre Nagy, dies". Associated Press. PR-inside.com. 29 January 2008. Archived from the original on 15 February 2008. Retrieved 14 February 2008. Gyula Háy (Julius Hay). Born 1900: memoirs. Hutchinson: 1974. Johanna Granville. "Imre Nagy aka 'Volodya' – A Dent in the Martyr's Halo? ", "Cold War International History Project Bulletin", no. 5 (Woodrow Wilson Center for International Scholars, Washington, D.C.), Spring, 1995, pp. 28, and 34–37. * Johanna Granville, trans., "Soviet Archival Documents on the Hungarian Revolution, 24 October – 4 November 1956", Cold War International History Project Bulletin, no. 5 (Woodrow Wilson Center for International Scholars, Washington, D.C.), Spring, 1995, pp. 22–23, 29–34.